Responsive web design is a conceptual approach that defines and encodes a website to optimize the viewing experience across a wide range of devices (desktops to mobile phones). 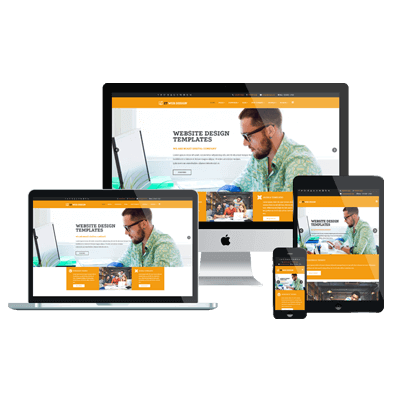 A well-designed responsive website ensures that navigation items, layouts, text, images, media players, and other elements of the user interface automatically adjust to various devices. Besides, SEO is increasingly an essential element of digital marketing strategies, having a responsive site that adapts to multiple devices is now vital. We are a responsive web design services provider dedicated to the design of websites with clear objectives: to offer a responsible and quality service. We respect deadlines and we are professional partners. You will notice the great synergy between our departments. We are not developers who do a little graphics or graphic designers who do a little development. We are one of the few companies that can merge technology and creativity, and this is reflected in our work. With Mega Webdesign, you will have a personalized, unique and professional website creation. Fully adapted to your needs. We develop professional, robust and evaluative sites in Responsive Design. We also provide all services related to this activity. We develop your image on the Internet, study your sector of activity and analyze the purpose of your web project. Our clients are actively involved in their project, as the best connoisseurs of their company. A company with a carefully designed and developed website, has a powerful tool to access its customers. Your site is your first point of contact with users and as such, will be the first impression you make. They will form an opinion of you based on what they will see and live on your site. Why Choose Us For Responsive Web Design? We maintain long-term relationships with our customers and receive many recommendations that demonstrate that we are doing things right and that we are a good company to work with. If we believe that we cannot do something, whatever the reason, we will tell you and look for another solution. If we have to adjust the specifications of our customers, we do so with speed and flexibility. Quality is our commitment to the companies that trust us. We evaluate everything, our processes, our employees, our developments, our design, our tests, our documentation and our communication. We have the capacity to offer a high level of technical knowledge in each of our activities. We also offer a high level of support.